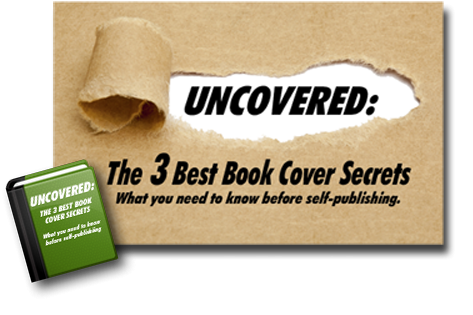 Ready to promote your book signing, lecture, reading, or seminar? If you want to fill all the seats in your venue, you’ll have to do some promotional legwork. Whether you’re self-published or traditionally published, here are great marketing strategies to help you publicize your book signing and increase the number of attendees! Make it a party. Instead of speaking on your own, invite other authors to partner in your event. Your combined promotional efforts may help bring in bigger audiences. Learn more about how to create a power promo team. Offer a free gift to everyone who attends. You know how studio audiences of daytime talk shows love to go home with free goodies? Your audience will love freebies too! Give away promotional items that are also not-so-subtle advertisements—like magnets featuring quotes from characters in your book, or sticky notes imprinted with the title of your book. Raffle off a prize. Entice people to attend your event by hosting a raffle for a popular gift (like an e-reader or bookstore gift card). You can ask people to enter the raffle using their name and email address, and be sure to note that all entrants will be added to your writer mailing list. Spread the word on social media. You can pay to advertise on your favorite social network (like using boosted and promote posts on Facebook). Social media promoted and boosted posts are super simple to create and often get big results. Wait until just a day or two before your event to start promoting. Or you can host a contest that rewards entrants for sharing the information about your event. Learn more about how to host a promotional contest online. Email your friends, family, and mailing list subscribers. Build your audience by asking everyone you know to invite other guests. Approach local clubs and community groups. Be sure to contact any group that might be interested in your topic. The organizations that you belong to will be happy to know about your event. While it’s great to ask them to attend, consider also asking them to help spread the word. Send announcements to your local writers groups, especially if your topic is of particular use to other authors! Hang fliers/posters. While it makes sense to hang your fliers in the library, post office, and supermarket, don’t forget to include places like the door of your local daycare, a park, or a nearby coffee shop. Just be sure to get permission. Send out a short press release to local newspapers, mailers, publishers. Keep it simple, stating the facts clearly and including contact information. Learn more about how to write a press release. Send a press release to local bloggers. Many towns have local online newspapers through websites like patch.com. These sites can be pretty popular too! Advertise in print. If possible, buy an ad in your local paper or even in the brochure for a local school play. Use your host’s resources to supplement your advertising efforts. Your host probably has a mailing list, an email list, and other publicity connections. Let your host know about the very exciting promotions you have planned—don’t assume he or she knows about your giveaways and other offers. Make it a fund-raiser. Team up with a local charity! Maybe your attendees can each bring a can of food for the local food bank. Or they can make donations to support a local cause while at your event. Not only will everyone feel good about helping out; the charity may help get the word out about your event to their own email list and social media followers. Everybody wins! 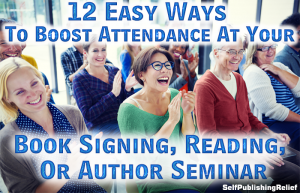 To make the most of your book signing, reading, or other promotional event, be sure that you touch base with attendees within forty-eight hours. Send a group mailing to your new email list subscribers, thanking them for attending and inviting them to stay in touch and to attend future events. Provide your social media info so that people can continue to stay in contact (and thus increase your opportunities to make a sale). QUESTION: What else can writers do to increase the number of attendees at a book signing, reading, or other book promo event? I appreciate this article so much, I bookmarked it as a future reference.